Each class is now beginning the Church Strand. The word Church is often thought of as the building. St Peter was the leader of the first Christians. He described the Church as being built of ‘living stones’. they were people, not buildings. How can we live like Jesus in our home? 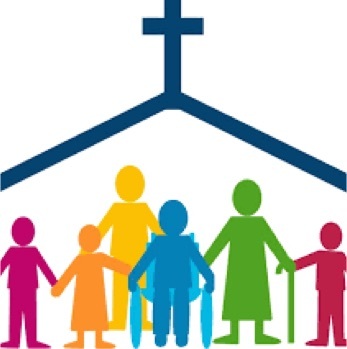 What are some of the roles and responsibilities in the church? In 1 Corinthians the church is described as the Body of Christ. We all work together to play a special part. discussing special groups they belong to. Talking about different ways people can help others in the world. Taking your child to Mass to be among other members of our parish church. Our Parish/School mass and pancake breakfast (gold coin donation) is on Sunday 9th September at 9.30am. See you there! This entry was posted in RE News. Bookmark the permalink.